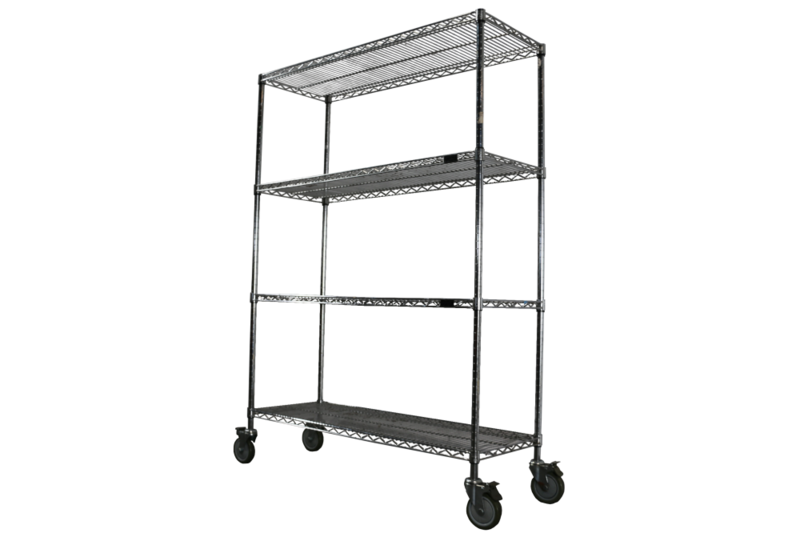 Our used mobile wire shelving is an excellent solution for moving product around your facility! Made of tough, chrome plated steel, these used wire carts are both durable and easy to clean. Your included shelves are even adjustable in 1" increments, allowing for flexible customization to meet your product and equipment's exact needs. The 5" locking swivel casters and 1,000 lb capacity ensure that your mobile shelving (and the equipment on top!) can be quickly moved around your facility as needed, but still lock securely in place when not in transit. We can’t list our entire inventory online, if you do not see what you are looking for, just ask! Quantity discounts are available on used mobile wire shelving at up to 40-60% off the price of new. Call 800-876-3736 for additional information & a free quote. American Surplus will provide a quote on new equipment if used is unavailable. Nationwide shipping is available. Price and product availability subject to change without notice. Inventory is subject to prior sale.